If when you travel you love to discover the local gastronomy, this is your blog. Here we have the secrets of the popular gastronomy of Barcelona and Catalunya. You must try the culinary delights that we propose in these articles. Every single region of every single country has its own customs and traditions when it comes to celebrating Christmas. In Catalonia there is a wide range of Christmas traditions, but today we will talk about Catalan gastronomy that we can enjoy in this special time of the year. While the typical meal of the summer always includes a paella in Barcelona, winter meals are a little different. Any celebration begins, as in almost all places, with appetizers or assorted starters and taking advantage of regional products, typical sausages, ham, prawns, prawns, olives, and so on. Barcelona is a wonderful city. In fact, millions of tourists travel to the Catalan capital every year to discover the charm of this amazing Mediterranean city where we find a wide range of different environments depending on the specific area we visit. In Barcelona, we find some of the most astonishing pieces of modernistic architecture such as Sagrada Familia, Güell Park, Casa Batlló, Casa Milà (all of them designed by the well-known Catalan genius Antoni Gaudí), Palau de la Música or Casa Amatller. Additionally, there are several touristic attractions like Montjuïc, Tibidabo hill or Barceloneta beach, where we can enjoy beautiful views of the city and the Mediterranean Sea. But there is also another essential point when visiting a foreign country: gastronomy. Indeed, gastronomy in Barcelona offers such a wide range of possibilities. This way, eating paella in the restaurants in Barceloneta or visiting the best bars in Raval are always good options. We all are waiting for summer and sunny days to enjoy Barcelona at its maximum. Walking around the charming neighbourhoods, stopping in a terrace to have a drink while you enjoy the warm weather or taking a bath on the Mediterranean waters and sunbathing are some of the great experiences we can live while visiting Barcelona in summer. When we talk about gastronomy, there is a special dish we can’t miss when we travel to the Catalan capital: paella. But, where can we get a proper dish of this traditional and delicious Mediterranean meal? Certainly, beaches of Barcelona are a good place, since there is a wide range of restaurants where we can find paella, but some of them are not the best choice because they are expensive and with poor quality. Many times the bars are the reflection of the area where they are located. Based on this premise, and considering that Raval is a mixture of nationalities – about 50% of the population are foreigners – as well as students and young people attracted by its cultural offerings together with former neighbors of the so-called Barrio Chino, interculturality and diversity are two of the attributes that characterize the 322 establishments that make up this neighborhood. Tapas crawls in Barcelona are not just a gastronomical experience. Whether it’s one of the organized around specific neighborhoods throughout the year, a tour that we simply create on our own following recommendations and gastronomic guides from the Internet, or just letting ourselves be carried away by our instinct, a tapas crawl is the perfect way of visiting streets and places full of charm and live like a local, socializing around food and drinks as it is done in Barcelona: like a pro. The reason the Spanish gastronomic culture is appreciated worldwide is that, in addition to having a multitude of flavors and excellent recipes, it counts with the best and multi-award-winning chefs of worldwide fame. Being the standard bearer of the most healthy and tastiest diet, besides all this, is not a pretentious assumption. Gastronomy in Spain isn’t just excellent, it’s also composed of certain traditions and rituals that turn enjoying the famous Mediterranean diet into a complete experience; not just eating the typical dishes such as gazpacho, Iberian ham or grilled vegetables, but also visiting all kind of restaurants and bars which is a great pretext to wander around a city while visiting its neighborhoods. This is possible thanks to the Tapas Route in Barcelona, a great experience to know different areas of the city while we taste these small delicacies. In Barcelona there is a long tradition in food markets. Despite having a large mall shopping culture, neighbours and tourists can’t resist the enormous charm offered by the markets of Barcelona. In these markets we can not just buy top quality food, but get to know a cultural and monumental heritage, worthy to be part of any self-respecting tourist route. 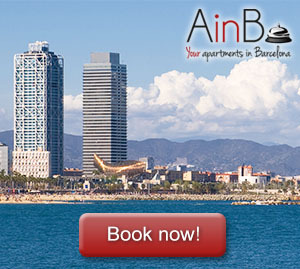 Let’s take a look at the main and most attractive markets in Barcelona.